Posted October 8th, 2014 by & filed under Holiday Hooligans, Submitted. 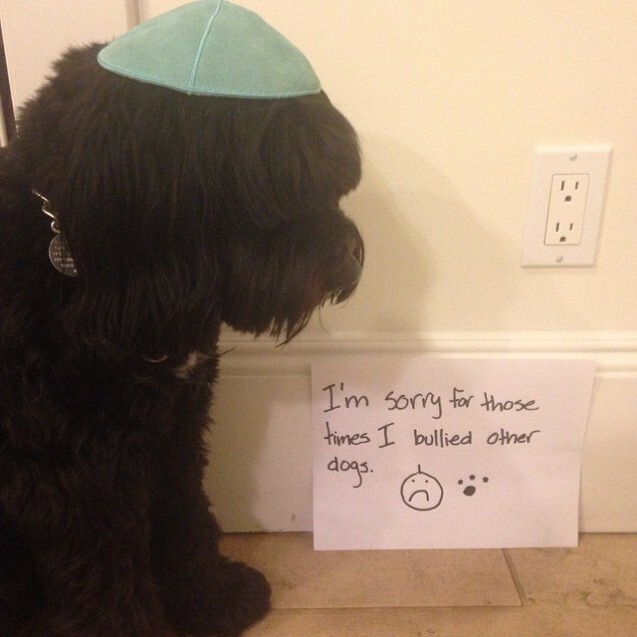 Posted June 17th, 2014 by & filed under Best Friend Betrayal, Piddle Party, Submitted. 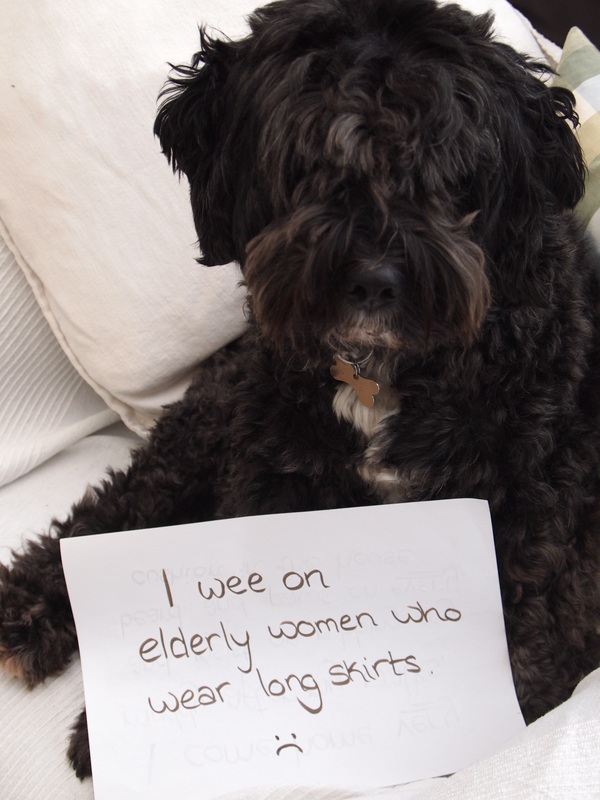 I wee on elderly women who wear long skirts. 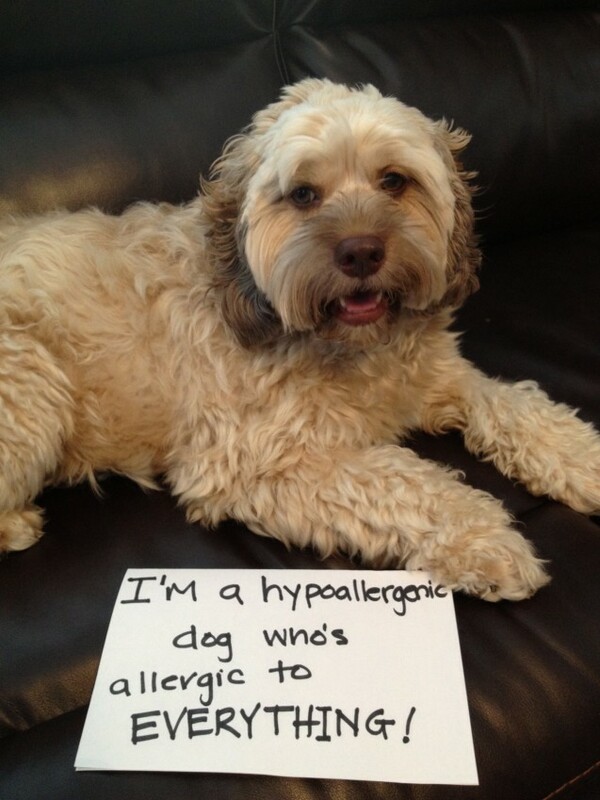 – Alfie, the terrible Tibetan Terrier, age 6. Posted January 1st, 2013 by & filed under Pilfering Pooches, Submitted, Technophobes. I’m Odie. If I can reach it, I eat it. Shamelessly. 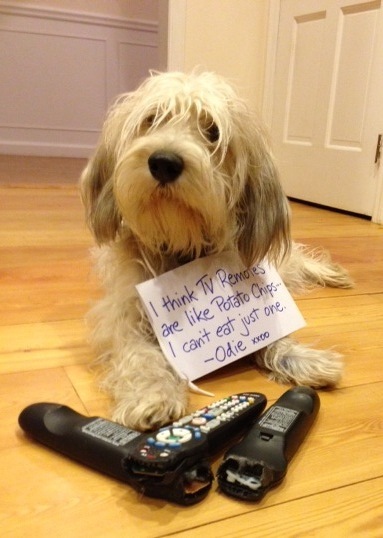 “I think TV remotes are like potato chips…I can’t eat just one. PS: moments after this photo was taken, I went after my fourth remote. 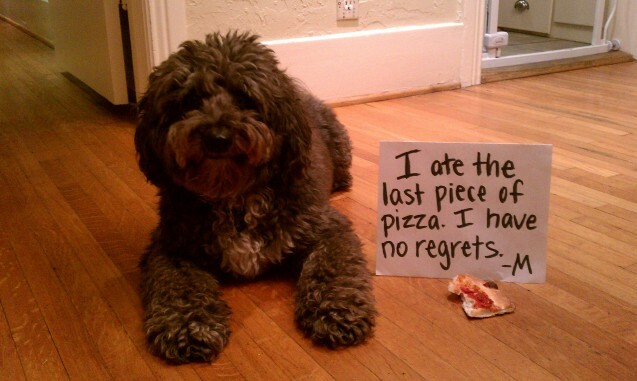 Not an ounce of shame.